We know of truth that summer’s nigh. We know that Pinkster comes indeed. —A Pinkster Ode, pamphlet from 1803, reproduced by the New York Folklore Quarterly, 1952. The native plants in my garden are just slaying me. The pink pom poms are delightful, but with natives you get a American history lesson: Pinkster/Pinxster has nothing to do with the color pink. Pinkster is a Pentecost festival with Dutch colonial origins, that was celebrated by slaves in the late 18th century, and is continued today by historical societies near the Hudson River Valley. 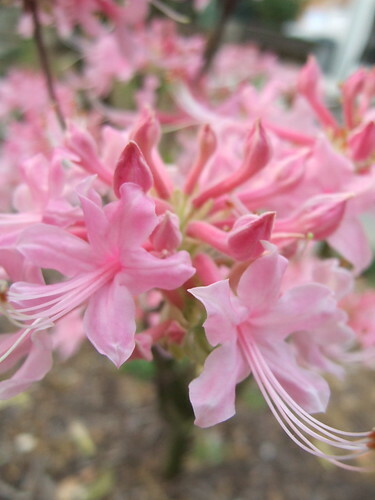 For example, there is a festival in Sleepy Hollow, New York on May 17th and in Milford, Pennsylvania on May 23rd. 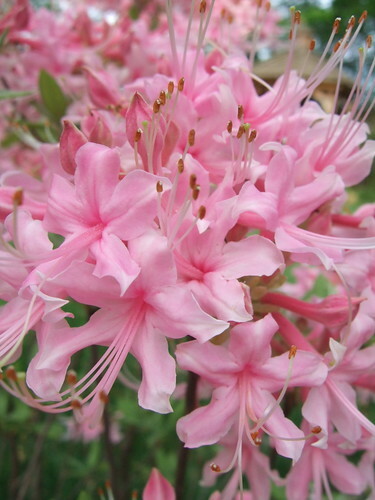 Apparantly, the flower of choice for the Pinkster celebrations was the this same azalea, but my Pinkster flowers here in Virginia won’t make it until Pentecost. and the dogwood as well? Magnificent.